Antonio was killed by the police in 2014. He worked in construction, and they mistook the saw he was carrying for a weapon. Every time I remember it, I think, “He didn’t deserve to die.” He was the love of my life. Our son Josiah was only four when his dad died, so they only had four years together. Sometimes Josiah says, “Mom, do I have to die so I can see my dad?” He’s thought more about death than a little kid should have to. I&apos;ve had Josiah and his sister Angelique in counseling since it happened. Angelique is in middle school, and she’s a good student. But recently she said, "Mom, I&apos;m depressed. I need help. It&apos;s really affecting me again." I want both of my kids to know they can always talk to me about their dad, and they can always ask me for help. They should never feel ashamed to ask for help. When Josiah cries, I hate it, but I hold him and encourage him to talk. I try to use the negative emotions my kids and I feel as motivation to bring back something for my community. I’ve spoken to high school groups about how to behave with the police. My family is Latino, which makes us more likely to be stopped by law enforcement. It’s not that I’m trying to turn people against cops, because there are good cops. But we need to be aware. I tell the students to know their rights. To be respectful. I also try to make sure people feel connected to one another. When it first happened to me, there was nobody there to help me or tell me what I needed to do. I felt really alone. What’s helped me most is connecting with other families whose loved ones were killed by the police. I live in San Jose, California. I’ve reached out to other San Jose families and said, “Call me anytime. I don’t care what time it is.” I get calls at two a.m., three a.m., four a.m. We’re in daily contact. When it’s the anniversary of a death, I organize a memorial. I make sure people remember. My advice to anyone walking in these shoes is to reach out to other families who’ve gone through the same thing. You are not alone. 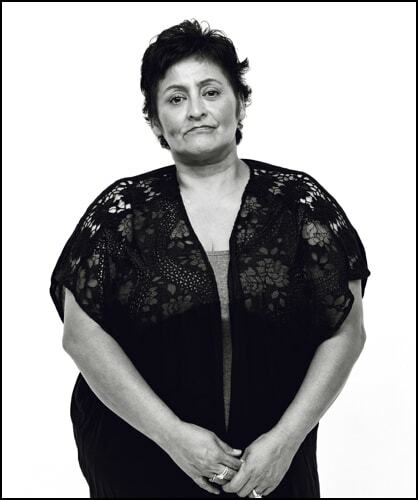 Laurie Valdez is an activist/advocate and single mom. She is the founder of Justice4Josiah.org., which was created after the murder of Antonio Guzman Lopez by the SJSU police department on February 21, 2014. It was named after their four-year-old son who was left behind, sentenced to a lifetime of pain, emotional/mental suffering from intrusive memories, and fear of safety. Laurie has been a strong voice for her children and all children/youth exposed to police violence in schools and the community.